Indus Civilization: Did It Simply Collapse? The interest of European linguists in Indian languages in eighteenth century, more particularly Sanskrit, engendered surprise and wonder at the rich, varied and copious literary tradition going back to hoary antiquity. 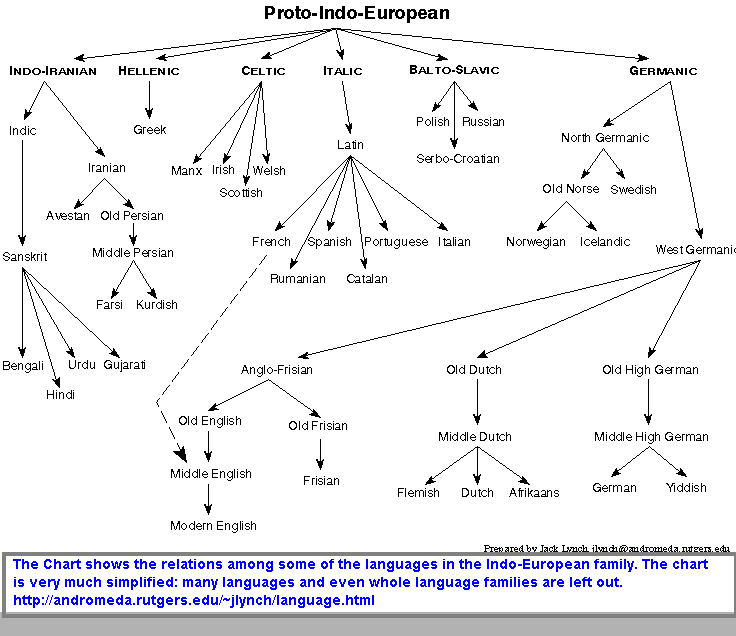 Enthused by their “discovery”, the linguists drew on the tools of their discipline to hypothesize a common origin to Indo-Iranian and European languages, which came to be known as Indo-European language family. Once the linguistic discoveries seeped through the academia in Europe, it elicited keen interest from other scholars including Historians. These western Historians posited that the people who composed the early Sanskrit literature arrived in waves of migration into North West India. In the then theory of Indo-European Urheimat (Urheimat: homeland of the speakers of the proto-language), the starting point for the tribes’ migration was placed in Northern Europe purely in the subjective choice of those historians. The modern theory about process of demographic migrations rests on two assumptions: Migration proceeds in symmetricand circular waves until restrained in some directions by (paleo)climateand (paleo) geography; and then second wave of symmetric and circular migration begins till it encounters similar constraints and so on until the process is complete. Based on this, the present understanding places origin of proto-Indo-European tribes in Caucasus region with first wave of migration spreading around the Caspian sea region. In 19th and 20thcentury, the section of nationalist movement that was imbued with pride about ancient heritage and “Hindu” religion, whose origin they traced to most ancient extant text, Rigveda, found it unpalatable to accept its composers’ “foreign origin”. This chauvinism was also in response to the chauvinism of European and British scholars of 19th century, who found it hard to stomach that a literary and philosophical tradition had evolved independently in antiquity that rivalled Hellenic culture to which Europeans traced their ancestry. That bias made them place the origin of tribes that composed Vedas in Northern Europe, and the subsequent “theory” came to be known as “Aryan Invasion Theory” (AIT) of Indian subcontinent. This theory with imagery of “invasion” rather than “migration” also postulated that these “technologically (warfare and mobility)” superior tribes were instrumental in the downfall and destruction of Indus civilization(considered indigenous for want of decoding its roots and culture) when archaeology discovered latter in the early decades of 19thcentury. The “Hindu” nationalists countered this chauvinism by placing the origin of tribes in the Gangetic belt, and have they spread west and northward out of India. This “theory” came to be called “Out of India” (OIT) or theory of “Reverse Indo-European Urheimat”. A marvelous query put forth by OIT protagonists was: On one hand we have a civilization with unparalleled majestic achievements in town planning, civil engineering, water supply and sanitation management, and creation of the earliest and extensive urban settlements; but left no language record (script is still not deciphered) or literary tradition. On the other, we have a civilization with unparalleled achievements in languages, grammar, literature, and magnificent philosophical speculations; but left no archaeological evidence. In itself this paradox is inexplicable, but both these civilizations flourished in the same region is well-nigh impossible, they argue rhetorically. Therefore, some OIT adherents conflate Vedic civilization and Indus civilization as two sides of the same coin. The argument is “striking” but spurious. Mere absence of a feature cannot prove presence of another. Even into 21st century this debate rages on without any fresh and solid evidence brought forth. To see the “State of the Debate” visit: AIT Or OIT: Imagining The Hindu Nation. The findings of the recent research conducted on human skeletal remains from Harappa settlement published in the Public Library of Science (PLOS): Infection, Disease, and Biosocial Processes at the End of the Indus Civilization. ; turn the “assumptions” discussed above of both AIT and OIT theories on their respective heads. The authors take pains to point out that their research is not definitive, but strongly indicative of, (to sum up in my words): Indus Civilization collapsed due to combined effect of expanding populations in urban centers; severe and unpredictable weather patterns induced by climate change; and finally drought, food shortages, starvation, violence, and epidemics causing rapid breakdown of socio-cultural, economic, law/order and political processes that mark a complex society. In brief, the very success of Indus civilization led to its downfall when faced with adverse extraneous factors. The attempts made to adapt to changing circumstances, often successful in smaller human settlements, may have been stymied in the face of the unstoppable “inertia” of a highly mature, successful, and seemingly enduring complex society. This has telling lessons for the predicament we face today. Currently we face global climate changes of a projected magnitude unprecedented in the Holocene epoch . We are already experiencing increases in mean atmospheric carbon, land surface temperatures, and sea levels. Perhaps more significantly, as the mean values increase, the weather is becoming more variable, precipitation patterns are changing, and we are experiencing more frequent severe storms . Drought, flooding, and other natural disasters are expected to increase in frequency; uncertainty and unpredictability may eventually make basic goals like subsistence more difficult. Human security literature predicts that in the current context, when a proportion of the population in a complex society (or “state”) is disadvantage by socio-cultural, historical, economic, and political processes, it is these communities who face disproportionate effects from food shortage, reduced access to raw materials, sanitation issues, conflict, and disease [63,85,86,91,92,134–137]. Historically, even relatively minor climatic or environmental changes have led to increasing levels of violence, starvation, epidemics, and/or bio-demographic changes in human populations [137–139]. While it is not always the case, resource scarcity, environmental uncertainty, and declining agricultural production in the face of continued population growth have resulted in starvation, violence, and/or emigration many times in prehistory as well (see for example,140–147). The human skeletal remains from Harappa examined here demonstrate this association in South Asian prehistory. However, our results should not be misinterpreted as confirming an adaptationist perspective that elevated levels of competition for scarce agro-ecological resources and increased levels of migration during periods of climate change necessarily lead to increases in conflict, interpersonal violence, and negative impacts on human health. Despite claims in popular books [148,149], the fate of human societies is not determined by one or two extrinsic factors. Human communities in the past had a variety of responses to climate change, resource scarcity, and conflict [68,150–150–153]. Bio-cultural approaches to human prehistory have repeatedly demonstrated that it is the social world that determines the meaning of and responses to environmental stressors, and it is the social structure and human agency that determine who will be affected, how, and to what degree [154–157]. Human populations in semi-arid regions of the world, including South Asia, currently face disproportionate impacts from global climate change. The evidence from Harappa offers insights into how such changes impact human societies. South Asians have historically had diverse responses to climate change . At Harappa, the same forces that characterized the process of urbanization and social stratification probably ultimately shaped the collapse. Climate change and exchange relationships may have enhanced immigration to the city of Harappa after 2200 B.C. and the archaeological record suggests that Indus people successfully managed the pressures of climate change, migration, and rapid population growth for centuries prior to 2000 B.C. However, climate change and massive population growth had an increasingly negative impact on the city through time, creating an environmentally, demographically induced pressure point . Centuries of hydro-ecological stress, agro-economic problems, increasingly frequent interruptions of the exchange network, and deterioration of conditions in the city eventually led to massive depopulation around 1900 B.C. Those who remained suffered from increasing rates of interpersonal violence and infection, particularly in marginalized communities who received little protection from a weak, decentralized society. The evidence from Harappa confirms the importance of both social and biological challenges in shaping the fate of human populations dealing with rapid population growth and environmental degradation. Future archaeological research should further examine the possibility that Harappa offers an historical example of how climate and social changes in a weak and deteriorating “state”, or “pre-state” level, complex society can disproportionately impact disadvantaged, marginalized, or vulnerable communities. One question that arises is whether the evidence from Harappa is principally demonstrative of biosocial processes at work in this one city, or whether social differentiation and status differences typified the process of urbanization in other Indus communities. In other words, how typical is this pattern of the Indus civilization as a whole? Archaeologists have long known there was some evidence for interpersonal violence in some of the assemblages from Indus Civilization cities [105,113,159–165]. However, evidence for trauma and pathology has been controversial, much debated, and sometimes minimized as interpretations have been limited to discussions about Aryan Invasion mythology and there has been little attempt to understand how these lesions relate to the intrinsic social forces that were at work in the ancient populations [6,113,166]. Pending further investigation of skeletal material from additional sites like Mohenjo Daro, Lothal, Chanhu Daro, and Kalibangan, it is safe to say that Harappa was not an isolated, peripheral settlement on the fringes of Indus society. It was one of the largest regional centers in the Indus Valley and has often been used as a primary source of information about the Indus Civilization. There is no evidence that Harappan society was markedly different from that of other urban centers, that it was special or deviant in some way, but this question must be examined through a larger, regional survey of paleopathological indicators. Social forces at work at Harappa are to a degree, representative of the larger processes at work in the Indus Civilization as a whole. Additional research on mortuary treatment, trauma, and pathology in other Indus cities is crucial to understanding how short-term strategies for coping with environmental, social and economic changes led to long-term consequences for human populations in South Asian prehistory.